What happens when a two artists team up? One that is an appreciated songwriter who never really stepped out of the shades of mid-level artists and one who used to belong to one of the most popular indie-rock bands, wrote huge hits and had a taste of stardom? It leads to an album with a title that could fool anyone. Who is Arthur Buck? This must be a new artist's first album? In a sense it is. This is the first album of a new duo: Joseph Arthur and Peter Buck. The album starts and I hear a familiar mandolin and a familiar voice. All the songs on the album are the result of a more or less chance meeting on the Baja Mexican coast, where Buck part time lives and Arthur left behind a guitar. When he came to pick it up, he sort of moved in for a few days and the two started playing new work to each other and one thing led to another: Arthur Buck. Joseph Arthur was the first artist that I ever saw working with loop pedals to create a song on the spot. On 'Later with Jools Holland' on the BBC, he played two or three songs this way. Nowadays over a decade later it is almost a common thing. Not then. On this album there's a(n ersatz) band at work. The basis however is Arthur's voice and rhythm guitar. Peter Buck is playing anything that has strings and produces all these delicious sounds and solos and notes. He manages to stay away from his former band with ease even, so there is no pointing to R.E.M. the whole time. I am not familiar with all Arthur's records, but what I'm hearing sounds differently also, except for the voice of course. He sings somewhat deeper than I remember though. In short, this album sounds different from what I would expect. Points scored. Joseph Arthur had the greater role on the record. Except for piano and vibes, Arthur plays all else and produced 'Arthur Buck'. The duo shares the songwriting duties, making it a duo effort. For the rest Peter Buck could be Joseph Arthur's lead guitarist. He has the biggest name of the two of course, drawing more attention than Arthur ever would have got if he had released this under his own name. This the Peter Buck he's teaming up with. Slowly I'm arriving at the question what this review ought to be all about: is the music on Arthur Buck any good? At this point in time I simply haven't made up my mind totally. The album is certainly decent. There's not a single song dragging the album down, but I also have a hard time identifying a song pushing the album skywards. There's not a song that really makes me prick up my ears. At the same time I do not have the impression that listening more will change this conclusion. This may have to do with the way Joseph Arthur decided to sing on 'Arthur Buck'. Like a second generation grunge singer. The guy from Staind for example, "I'm on the outside". That is a choice, but gives the album a distinct gloomy atmosphere. A mood that works really well in 'Before Your Love Is Gone'. The positive side is that I am hearing a lot of nice guitar playing on the album as a whole. Peter Buck has certainly been at work in several of the songs. Finding the right notes and moods propping up the songs and the album as a whole. 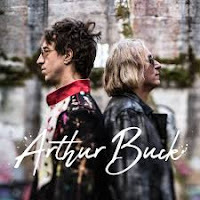 Concluding I can suffice to write that 'Arthur Buck' is a decent album. No more but certainly no less.